The GTBank Mobile App is the secure way to access your bank account online, send/receive money, purchase airtime and data bundles for all networks, pay bills, preview your transaction history, etc. The GTBank Mobile App is a great way to get familiar with all GTBank Mobile Banking services. 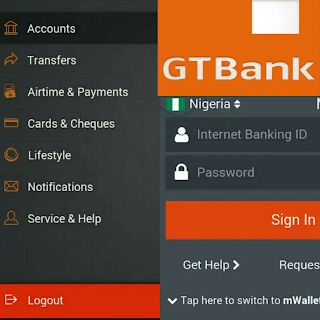 This Mobile Banking app gives you a real time access to your accounts in GTBank. Find here a list of all GTBank internet banking services available in the gtbank app with step-by-step instructions to use them. Below are some of the internet banking services which could be easily done with GTBank Mobile App on any Android device. 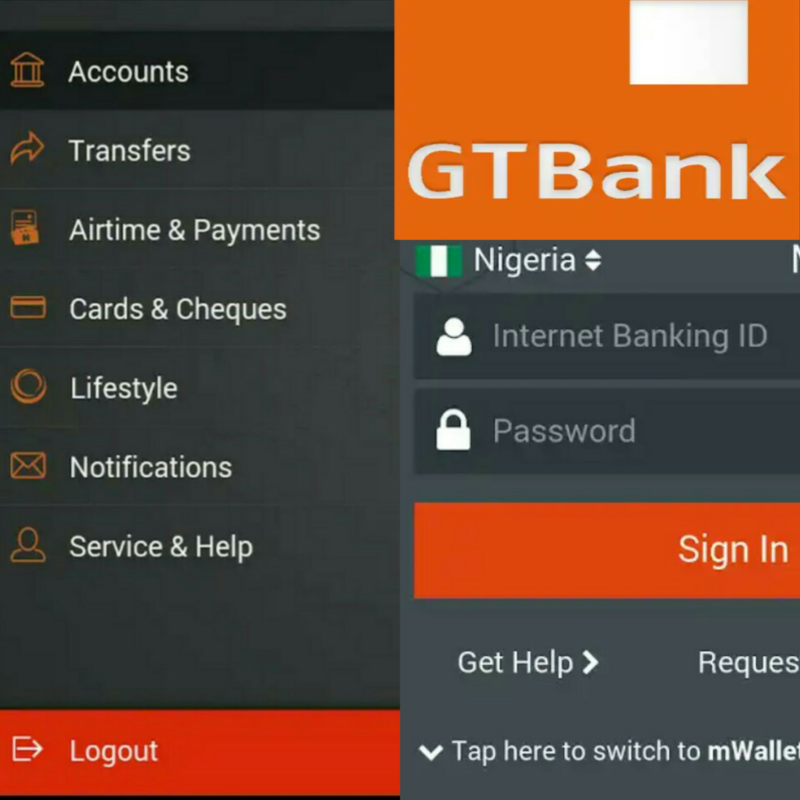 These features are to make your online banking with GTBank damn easier and with no stress. View the balances on your bank account. Manage your account and review your transaction history. Make transfers from GTBank accounts to other bank accounts. Change your email address, phone number and other personal details. Confirm and manage your cheques. Receive In-App messages on new features, quick tips, and promotional offers. Easily verify your transaction securely either by using a self-selected PIN, a hardware token, it is accessible from all GTBank branches. Alternatively, a 737 token is obtained by dialing *737*7# from your registered mobile number. You can easily link your profile to any device with the option to use PIN or Token before completing your transactions. Other profiles will be able to use the mobile app on your device successfully with Token authentication only. Device linking can be done with a security code sent via SMS or generate a code from the hardware soft token by dialing *737*7#. Awesome right? Now that you have a clear knowledge of this easy mobile banking application, the next thing you should do is to download it on your phone. Where to download the online banking made easy app? Look no further, click on this link for GTBank internet banking app quick download for smartphones. The GTBank internet banking registration is very simple, after all the process you would be able to enjoy all the amazing services invested in the GTBank Mobile App. You can as well open bank account online via this app. Note: You need to download the official play store version of GT Bank app in order to get the one that suite on your internet-enabled device or computer. Let's get started with the easiest way to register for gtbank internet banking! To get started, open the pre-installed google play store App on your Android device, search for ‘GTBank Mobile App’ and click the download/install button. √ Once the installation process is done, launch the App and input your User ID and password. √ If you do not have a password you may dial *737*6*5# from your registered mobile phone for your login details. And if you have forgotten your password, please click “Forgot Password?” on the login page to reset your password. √ At first login, you will be asked to verify your device. If this is your preferred device, please select 'Yes' and choose a transaction method (PIN or Token). Note that you can always switch between PIN or token at any time by simply going to the Settings Menu of the mobile app. √ A 5-digit secure code will be sent to your registered mobile phone via SMS to verify your device. If you do not receive this message please generate a code from your hardware token or dial *737*7# from your registered phone number to obtain a one-time verification code. You can also call GTConnect on 08039003900 or 08029002900 for the verification code. √ Enter this code in the app and your mobile phone will be successfully verified against your account profile. Now you can start using the App. Please note that this is required only when using a device for the first time. √ If you chose to use the token as your preferred means of verifying your transactions, you will also be sent the 5-digit secure code via SMS to verify your device for the first time. Enter this code and your mobile phone will be successfully verified against your account profile. You will then be able to start using the GTBank Mobile App with your hardware or 737 Token. Official message: note that you are not restricted to any device. All you need do at the first login is to select “No! This device is not mine” from the device verification screen. You will then be able to carry on using the GTBank App with either the Hardware or 737 Token as the means of completing your transactions. Permit me to say: GTBank Mobile App is #1 for the user-friendly app with easy to use and fast internet banking services. Go here to download GTBank app for mobile phones and PC. Disclaimer: The content of this article is a mixture of the original contents of Guaranty Trust Bank (GTBank) and my personal experiences.